i threw the dough back into my kitchenaid stand mixer and literally beat it to death. the marshmallow bits mostly disappeared, but i was left with a gorgeous silky but firm dough. 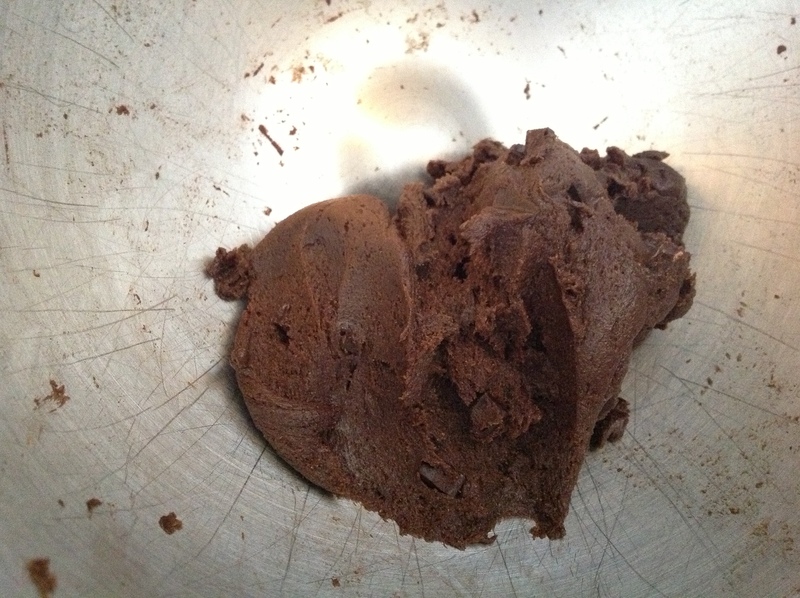 while the oven was pre-heating, i stirred some mini dark chocolate chunks into the cookie dough. i baked these at 400 degrees for 10 minutes on a silpat and the result was something almost meringue-like. 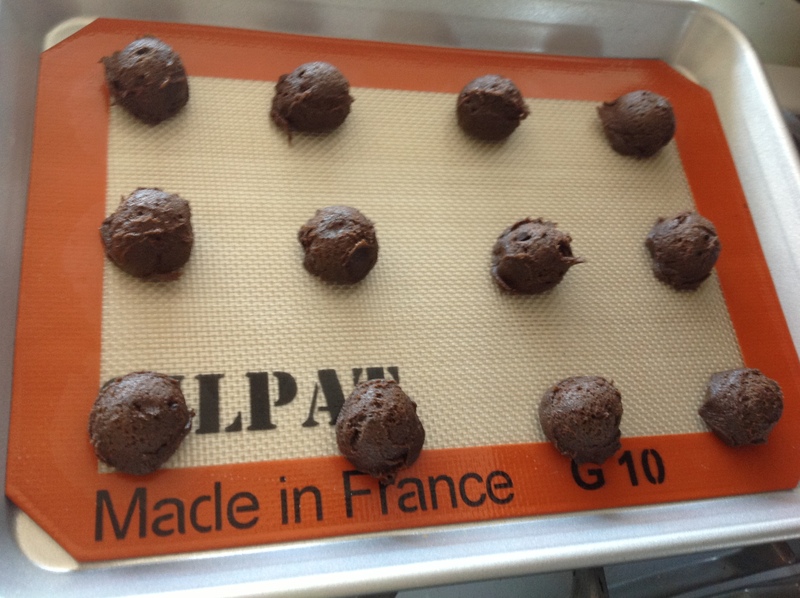 the gelatin and egg whites from the dissolved marshmallows had some magical effect on the dough and added a rounded sweetness, that was lacking in the original recipe. but even better than that, they tasted like s’mores! in a moment i was transported back to the campfire at girl scout camp, but without the bugs and mean girls. How long did you leave the dough in the fridge? 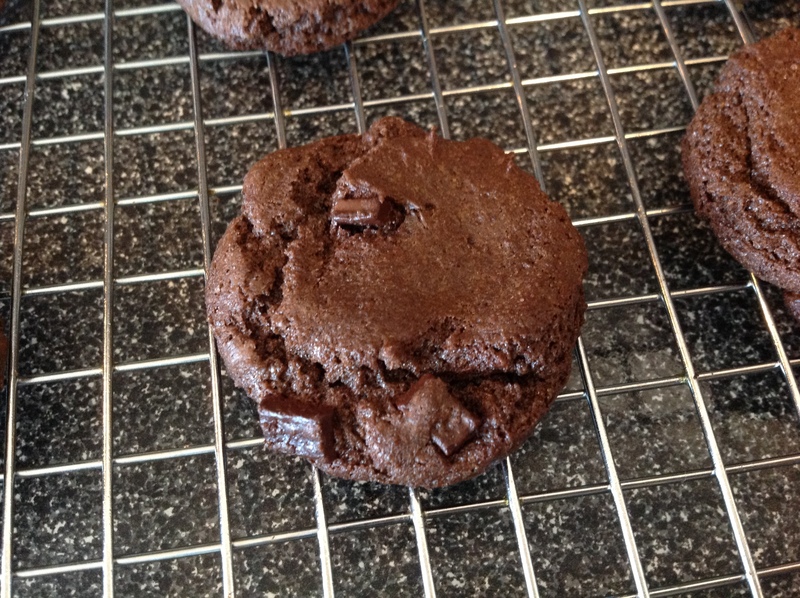 If I wanted to use the hot cocoa cookie recipe specifically to make these, any other ideas on how to proceed? Thanks for this and all the wonderful ideas you provide your readers. Can’t tell you how often your blog comes up in my search for GF goodness! Thanks Kate! It was a mistake and if I remember correctly the dough was in the fridge for 2-3 days but I suspect overnight would be enough for the marshmallows to meld into the dough. You can add pretty much anything to the dough. I’d say you could add up to 2 cups of add ins without wrecking the texture. 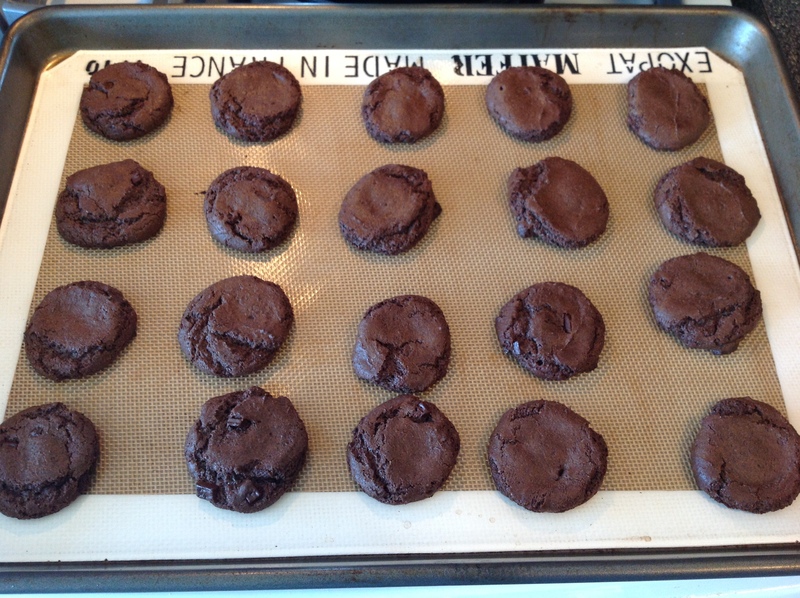 another reader, Martha, posted on facebook that she added macadamia nuts and white chocolate chips. You could also add dried fruit, m&ms, toffee or peanut brittle pieces. a friend made me some pistachio brittle and i may add that sometime. please let me know what add ins you choose and how it works out. Sounds good! Found the marshmallow bits on my last trip to the grocery store, so will likely try them in the next week or so. Have to think about those add ins…lots of choices there.